I mentioned before that I love adding grapes to my smoothies. To prove it, I am sharing with you one of our favourite grape smoothie recipes. My whole family loves it. I hope your family will love it too! Summer is almost ending. School is almost starting. My son is starting grade 1 in September. He lost his first tooth this summer. Two others are wiggly. My daughter can ride a 4-wheel bike now. Time flies… OK, back to reality, no more nostalgia. 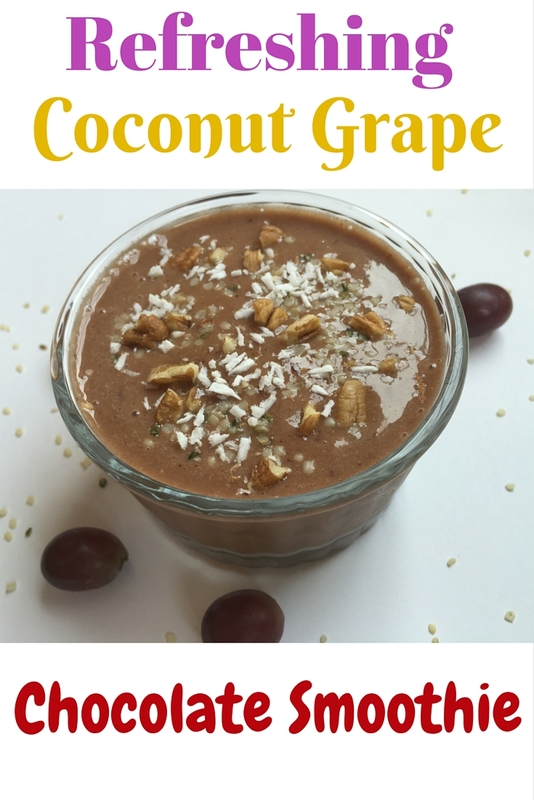 I hope you will include this Refreshing Coconut Grape Chocolate Smoothie in your breakfast or snack rotation as it is not only delicious, but also loaded with nutrients. Blend all ingredients until smooth. Top with your favourite toppings. 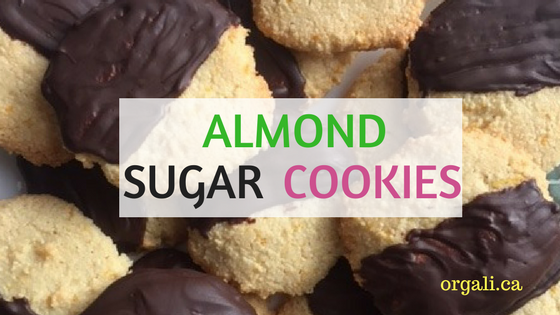 We love hemp seeds, pecans or walnuts, and coconut flakes. I love grapes. They are my number 1 favourite fruit. Cherries are also my number 1 favourite fruit. What about you, what is YOUR favourite fruit?